The Azipod® steerable propulsion systems, also used for the construction of China’s first ever home-grown cruise ship, due for delivery in 2023. ABB’s deep domain knowledge in cruise ship technology supports a significant milestone in the evolution of China’s shipbuilding industry. ABB, a pioneering technology leader focused in digital industries, will supply an integrated power and propulsion package, including two Azipod® steerable propulsion systems, for the construction of China’s first domestically built cruise ship. The 323-meter vessel, due for delivery in 2023, will accommodate 5,000 passengers and is designed to suit the tastes of Chinese cruise travelers whose numbers are expected to rise up to 10 million annually by 2025, according to industry body Cruise Lines International Association (CLIA). With vast experience from cruise as well as other vessel segments, ABB is able to provide proven solutions for propulsion, electrification and automation that enable customers to operate vessels anywhere from Antarctica to the Caribbean. The key to this is integrated solutions from the bridge command to the Azipod® propulsion system and a global service network that supports the customer 24/7. As the maritime industry moves towards new energy sources and autonomous operations, ABB’s electric, digital and connected technologies are redefining the future of mobility, bringing new levels of reliability, efficiency and sustainability to shipping in China and across the globe. ABB’s Azipod® propulsion is a gearless steerable propulsion system where the electric motor is encapsulated in a submerged pod outside the ship hull. 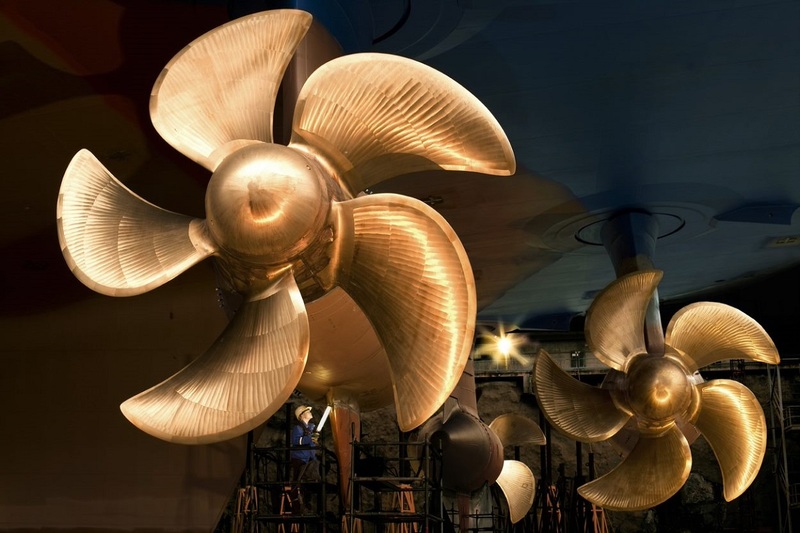 Azipod® propulsion has become an industry standard in the cruise segment, with the proven ability to cut fuel consumption by up to 15 percent compared to traditional shaftline propulsion systems. Last year ABB secured its 100th Azipod order for cruise ships. Since the first installation, Azipod® systems have accumulated more than 15 million operating hours, saving over 700,000 tons of fuel, thus reducing the maritime carbon dioxide footprint. ABB’s supply to the new Chinese vessel also includes a complete electric power plant with generators, switchboards, distribution transformers and a control system for the Azipod® units.